Distributed p2p technologies have always been fascinating to me. Bittorrent is cool not because you can download pirated content for free, but because it’s an amazing piece of technology. At some point I read and researched a lot about how DHTs (distributed hash tables) work. 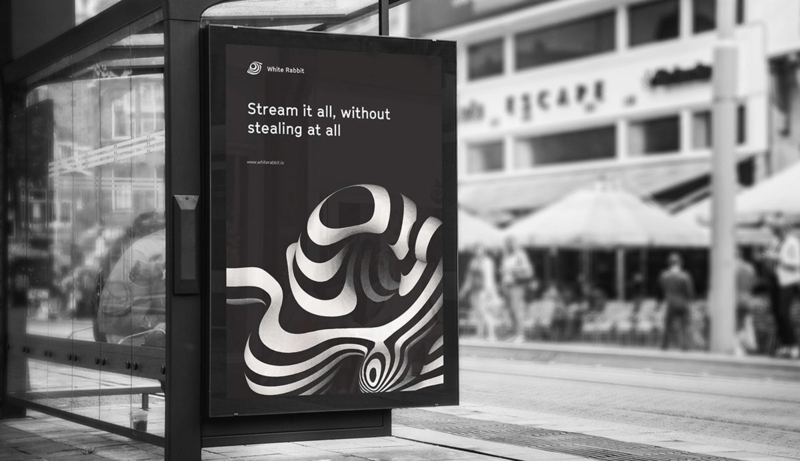 DHTs are not part of the original bittorrent protocol, but after trackers were increasingly under threat to be closed for copyright infringment, “trackerless” features were added to the protocol. A DHT is distributed among all peers and holds information about which peer holds what data. 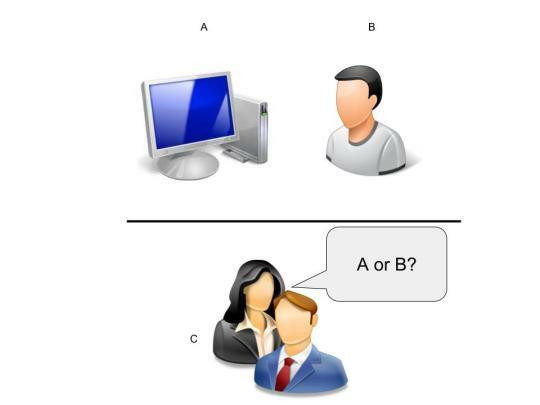 Once you are connected to a peer, you can query it for their knowledge on who has what. During my research (which was with no particular purpose) I took a note on many resources that I thought useful for understanding how DHTs work and possibly implementing something ontop of them in the future. In fact, a DHT is a “shared database”, “just like” a blockchain. You can’t trust it as much, but proving digital events does not require a blockchain anyway. My point here is – there is a lot more cool stuff to distributed / p2p systems than blockchain. And maybe way more practical stuff. It’s important to note that the DHT used in BitTorrent is Kademlia. You’ll see a lot about it below. Anyway, the point of this post is to share the resources that I collected. For my own reference and for everyone who wants to start somewhere on the topic of DHTs. TTorrent – a Java bittorrent library, useful to understand the bittorrent protocol. It doesn’t support DHT, but this old fork does. There’s an old pull request for DHT support as well. I hope the list is interesting and useful. It’s not trivial to think of other uses of DHTs, but simply knowing about them and how they work is a good thing. The post Resources on Distributed Hash Tables appeared first on Bozho's tech blog. In 2018, music piracy is a very different beast than it was back in the early P2P days of Kazaa and LimeWire. Where once it ran rampant, vastly improved official offerings have ensured that millions of former pirates are now enjoying music legally via convenient streaming services such as Spotify. However, there is no shortage of people who prefer to have personal archives of illicit MP3s stored safely on their own machines. This content can be easily obtained from web-based pirate sites, torrent platforms, and the aging Usenet system. The latter is often (and incorrectly) considered to be a safer option for distribution but for one uploader, things haven’t played out that way. According to news from Dutch anti-piracy group BREIN, a “large-scale” Usenet uploader has recently agreed to pay the not inconsiderable sum of 10,000 euros ($12,374) to make a potential lawsuit disappear. BREIN says the person was responsible for uploading unlicensed music releases to Usenet in breach of copyright, including recent albums by Ed Sheeran and Justin Timberlake. However, BREIN also criticizes the Usenet providers who facilitate this kind of sharing. “Although such uploaders usually do this free of charge for the status they receive from illegal downloaders, it is the Usenet providers that make money by selling subscriptions for access to their servers,” says BREIN director Tim Kuik. Alongside BREIN’s suggestion of willful blindness to infringement, there’s also the issue of compliance when Usenet operators are presented with an official complaint. Dutch case law requires that when a “reasonable” case of infringement is presented, they must give up the identity of the alleged infringer. In this case, that’s exactly what happened. “BREIN has, in order to obtain the details the uploader, requested the Usenet provider of this uploader to provide the data. This request was answered,” the anti-piracy outfit reveals. Unlike other jurisdictions where a specific court order is needed for disclosure, in the Netherlands no such process is required. BREIN has taken advantage of this position in many previous cases, insisting that providers who don’t disclose when there are reasonable grounds are acting unlawfully. Following BREIN’s approach and the 10,000 euro settlement, the anti-piracy outfit says that the uploader took to Spotnet, a piece of software that allows downloading from newsgroups, to announce his demise. “As you may have noticed, I have not been actively uploading for a while, because BREIN finally found my details and I have been asked to stop acting as an uploader of copyrighted music content to Usenet,” the uploader wrote. BREIN says that the circumstances of the uploader were taken into consideration when reaching the 10,000 euro figure but whether the full amount will ever get paid will never be publicly known. That being said, the publicity attached to the settlement agreement will be worth more to BREIN than the cash alone. After many years of downloading content with impunity, 2014 brought a culture shock to the Dutch. Citizens were previously allowed to obtain content for their own use due to a levy on blank media that compensated rightsholders. However, the European Court of Justice found that system to be illegal and the government quickly moved to ban downloading from unauthorized sources. In the four years that have passed since the ban, the downloading landscape has undergone change. That’s according to a study published by the Consumer Insights panel at Telecompaper which found that while 41% of respondents downloaded movies, TV shows, music and games from unauthorized sources in 2013, the figure had plunged to 27% at the end of 2016. There was a further drop to 24% by the end of 2017. Of the people who continue to download illegally, men are overrepresented, the study found. While 27% of men obtained media for free during the last year to October 2017, only 21% of women did likewise. While as many as 150 million people still use P2P technologies such as BitTorrent worldwide, there is a general decline in usage and this is reflected in the report. 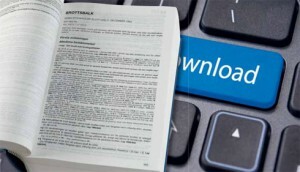 In 2013, 18% of Dutch respondents used torrent-like systems to download, a figure that had fallen to 8% in 2016 and 6% last year. Again, male participants were overrepresented, outnumbering women by two to one. However, people appear to be visiting P2P networks less. “The study showed that people who reported using P2P to download content, have done so on average 37 times a year [to October 2017]. In January of 2017 it was significantly higher, 61 times,” the study notes. P2P usage in November 2015 was rated at 98 instances per year. Perhaps surprisingly, one of the oldest methods of downloading content has maintained its userbase in more recent years. Usenet, otherwise known as the newsgroups, accounted for 9% of downloaders in 2013 but after falling to around 6% of downloaders in 2016, that figure remained unchanged in 2017. Almost five times more men used newsgroups than women. Drilling down into more obscure systems, 2% of respondents told Telecompaper that they’d used an FTP server during the past year, a method that was entirely dominated by men. While the Dutch downloading ban in 2013 may have played some part in changing perceptions, the increased availability of legal offers cannot be ignored. Films and TV shows are now widely available on services such as Netflix and Amazon, while music is strongly represented via Spotify, Apple, Deezer and similar platforms. Indeed, 12% of respondents said they are now downloading less illegally because it’s easier to obtain paid content, that’s versus 11% at the start of 2017 and just 3% in 2013. Interestingly, 14% of respondents this time around said their illegal downloads are down because they have more restrictions on their time. Another interesting reason given for downloading less is that pirate content is becoming harder to find. In 2013, just 4% cited this as a cause for reduction yet in 2017, this had jumped to 8% of respondents, with blocked sites proving a stumbling block for some users. On the other hand, 3% of respondents said that since content had become easier to find, they are now downloading more. However, that figure is down from 13% in November 2013 and 6% in January 2017. But with legal streaming certainly making its mark in the Netherlands, the illegal streaming phenomenon isn’t directly addressed in the report. It is likely that a considerable number of citizens are now using this method to obtain their content fix in a way that’s not as easily trackable as torrent-like systems. 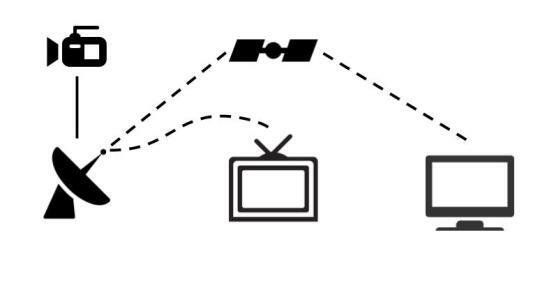 Furthermore, given the plans of local film distribution Dutch FilmWorks to chase and demand cash settlements from BitTorrent users, it’s likely that traffic to streaming sites will only increase in the months to come, at least for those looking to consume TV shows and movies. While Napster certainly put the digital cats among the pigeons in 1999, the organized chaos of mass Internet file-sharing couldn’t be truly appreciated until the advent of decentralized P2P networks a year or so later. In the blink of an eye, everyone with a “shared folder” client became both a consumer and publisher, sucking in files from strangers and sharing them with like-minded individuals all around the planet. While today’s piracy narrative is all about theft and danger, in the early 2000s the sharing community felt more like distant friends who hadn’t met, quietly trading cards together. Satisfying to millions, those who really engaged found shared folder sharing a real adrenaline buzz, as English comedian Seann Walsh noted on Conan this week. “Click. 20th Century Fox comes up. No pixels. No shaky cam. No silhouettes of heads at the bottom of the screen, people coming in five minutes late. None of that,” Walsh said, recalling his experience of downloading X-Men 2 (X2) from LimeWire. But while the nostalgia has an air of magic about it, Walsh’s take on the piracy experience is bittersweet. While obtaining X2 without having to trudge to a video store was a revelation, there were plenty of drawbacks too. Downloading the pirate copy took a week, which pre-BitTorrent wasn’t a completely bad result but still a considerable commitment. There were also serious problems with quality control. “20th Century fades, X Men 2 comes up. We’ve done it! We’re not taking it for granted — we’re actually hugging. Yes! Yes! We’ve done it! This is the future! We look at the screen, Wolverine turns round…,” …..and Walsh launches into a broadside of pseudo-German babble, mimicking the unexpectedly-dubbed superhero. After a week of downloading and getting a quality picture on launch, that is a punch in the gut, to say the least. Arguably no less than a pirate deserves, some will argue, but a fat lip nonetheless, and one many a pirate has suffered over the years. Nevertheless, as Walsh notes, it’s a pain that kids in 2018 simply cannot comprehend. “Children today are living the childhood I dreamed of. If they want to hear a song — touch — they stream it. They’ve got it now. Bang. Instantly. They don’t know the pain of LimeWire. “Start downloading a song, go to school, come back. HOPE that it’d finished! That download bar messing with you. Four minutes left…..nine HOURS and 28 minutes left? Thirty seconds left…..52 hours and 38 minutes left? JUST TELL ME THE TRUTH!!!! !” Walsh pleaded. While this might sound comical now, this was the reality of people downloading from clients such as LimeWire and Kazaa. While X2 in German would’ve been torture for a non-German speaker, the misery of watching an English language copy of 28 Days Later somehow crammed into a 30Mb file is right up there too. 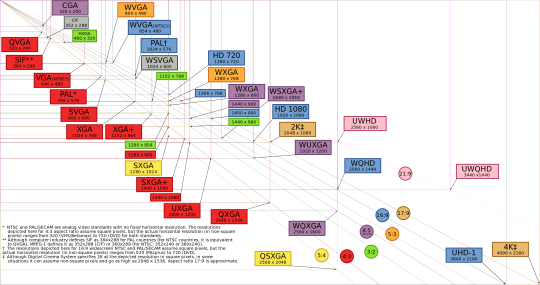 Mislabeled music with microscopic bitrates? That was pretty much standard. But against the odds, these frankly second-rate experiences still managed to capture the hearts and minds of the digitally minded. People were prepared to put up with nonsense and regular disappointment in order to consume content in a way fit for the 21st century. Yet somehow the combined might of the entertainment industries couldn’t come up with anything substantially better for a number of years. Of course, broadband availability and penetration played its part but looking back, something could have been done. Not only didn’t the Internet’s popularity come as a surprise, people’s expectations were dramatically lower than they are today too. In any event, beating the pirates should have been child’s play. After all, it was just regular people sharing files in a Windows folder. Any fool could do it – and millions did. Surprisingly, they have proven unstoppable. For as long as piracy has been mainstream, people have tried to find ways to monetize the system. While many have had good intentions, only models focusing on the negative (copyright trolling, for example) have enjoyed any level of success. Blockchain startup White Rabbit is hoping to buck that trend but it’s not going to be easy. Then again, nothing worthwhile is, so what do they have to offer? White Rabbit begins with the assumption that while they love their pirate sites, a many as 60% of pirates would happily reward creators if it was made easy enough. The startup deals with this by inviting pirates to carry on using the kinds of unauthorized sites and services they’re using already, but with a twist. By installing the White Rabbit browser plug-in, the company will be able to see what content the user is accessing. It will then attempt to match that download to deals it’s made with the companies behind those movies or TV shows. They’ll then get paid a set amount. “White Rabbit is a content ecosystem accessed through a plugin that recognizes the film and series you stream. The streaming sites are P2P or open server, meaning users can choose where they want to stream,” White Rabbit CEO Alan R. Milligan informs TF. 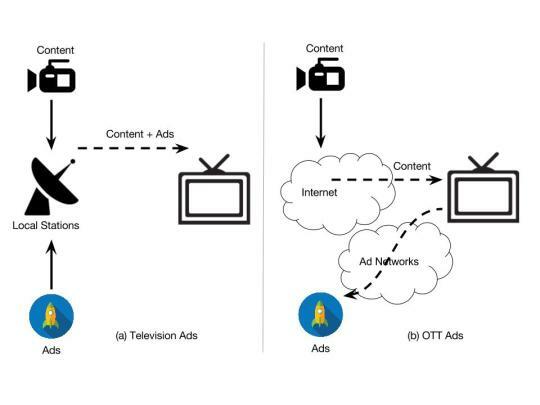 It’s envisioned that this mechanism will prove popular with reluctant pirates since instead of paying Netflix, Amazon, and dozens of other services, users can pay for content through one channel. And, since White Rabbit uses blockchain technology, rights holders can be ensured complete financial transparency, with user payments going straight to them without delay, cutting out the middleman. “Users are anonymous but can offer filmmakers, artists or other content right holders (investors, distributors, sales agents) our tokens (WRT) as good faith that they are willing to pay for the content. Should the rights holders accept, we enter into a contract with the rights holder that allows them to receive revenue — and accept P2P streaming. We find, and research shows, that most people that are forced to piracy [do so] because they are just not able to access content,” Milligan adds. White Rabbit’s CEO, who is a filmmaker himself, also sees opportunities to bring fans and filmmakers closer together. Once users have paid for content, they continue to get access via something called the Rabbit Hole, an interface which provides extras that are normally found on a DVD, such as deleted scenes etc. The team behind White Rabbit describe themselves as “responsible rebels” hoping to spark a revolution. While that’s clearly the goal, by any measure there is a mountain to climb, not least on the content front. When TorrentFreak first started speaking with the startup in October last year, we were told they were “closing in on 500 films” with contracts, although they wouldn’t elaborate on who might be on board. Nevertheless, that is quite a lot of movies, especially given the mainstream studios’ hatred of pirate sites and anything they might be involved in. However, subsequent discussion suggests that those with more niche tastes might be White Rabbit’s initial target audience. “I believe timing is of big relevance and right now a lot of producers are scared of where they´re going to go now that Netflix is enforcing its 50/50 policy. There are also so many amazing films out there that get no or little digital distribution at all,” Milligan says. “As a Norwegian film producer there is little chance of the film being streamed in my home country — even if we won awards in Cannes and Venice. My latest film Valley of Shadows got US digital distribution, but in Norway — nada. But while indie producers could benefit nicely from White Rabbit, Milligan highlights problems that the big studios have, and suggests that they might like to see the startup succeed too. “The studios will likely want to see our business model work — but they also have a problem with Netflix which has become a studio. So they´re competitors now, but Netflix has a 100M subscriber advantage. Will they all break out and create each their streaming site for their content only? That would be terrible for fans,” he notes. That would indeed be a huge problem and it’s an issue we’ve raised here on TF on several occasions. However, if White Rabbit is to succeed, it needs to overcome significant hurdles. We raised just a handful of these with its CEO. First up, Partner Streaming Sites (PSS). PSS sites appear to be pirate sites that will partner with White Rabbit, so the latter can tap into the formers’ userbases. When White Rabbit users stream ‘pirate’ content from a PSS, that content will be monetized, with the creator getting paid quickly and transparently. At that point, it seems, the content will become non-infringing. The start-up says the best projects could get $100,000 each but, since its goal is to convert pirates, that necessarily means doing business with pirate sites. So we asked; how will it be possible to do business with people that are regularly described as criminals? How will it then become possible to secure deals with filmmakers that will undoubtedly come under huge pressure from industry players not to participate in the White Rabbit scheme? “What we are trying to do is to change digital distribution to everyone´s benefit. We have no interest in financing illegal content, we are interested in spurring innovation in streaming, access for fans and due payment for the rights holders,” Milligan explains. So what happens if a White Rabbit user tries to stream something that isn’t part of the program? According to Milligan, PSS sites must remove the content and let White Rabbit users know they must get the content legally elsewhere. Clearly, the vast majority of pirate site users aren’t White Rabbit users now, nor will they be so in the future, so the removal of content is massively counter-productive for pirate sites. Indeed, it’s this reluctance to take down infringing content that causes them most of their problems. So, hypothetically, what happens when the operators of streaming site X (that previously partnered with White Rabbit) get arrested and their site shut down for distributing Hollywood content that isn’t part of the program? “PSS´s would never distribute illegal content, we are offering an opportunity to monetize. We are allowing a platform to those that see monetized P2P as beneficial to their income stream,” Milligan says. The final issue is the price and where revenue goes. White Rabbit envisions a user paying $2 for film and $1 for a TV show, although producers are free to set their own price. That means 11 TV shows or five movies per month, given the Netflix model/budget of roughly $11.00 for the same period. Revenue generated would then be split, with 75% going to the rightsholders, 15% to White Rabbit, and 10% to PSS sites. There’s also a provision for non-PSS sites to be a part of the program, but they would only get 5%, with the remaining 5% going to White Rabbit. With an incredibly ambitious project like this, it’s easy to find reasons why it might not succeed or even fail to get off the ground. But the team behind the operation have lots of experience in relevant fields and from what we’ve seen are putting considerable effort into getting things moving, as their white paper (pdf) explains. Currently, White Rabbit is seeking conversation with prospective Partner Streaming Sites, who will provide the content on which White Rabbit will survive. It will certainly be interesting to see which sites put themselves forward for consideration. This is one of those projects that raises a dizzying volume of questions, with each living up to their billing as part of the Rabbit Hole. The big question is whether the Rabbit Hole will eventually lead to Wonderland or will render everyone who ventures inside feeling surreal and disorientated. After at least 15 years of Internet pirates being monitored by copyright holders, one might think that the message would’ve sunk in by now. For many, it definitely hasn’t. Bottom line: when people use P2P networks and protocols (such as BitTorrent) to share files including movies and music, copyright holders are often right there, taking notes about what is going on, perhaps in preparation for further action. That can take a couple of forms, including suing users or, more probably, firing off a warning notice to their Internet service providers. Those notices are a little like a speeding ticket, telling the subscriber off for sharing copyrighted material but letting them off the hook if they promise to be good in future. 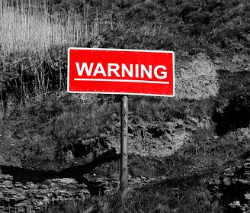 In 2013, the warning notice process in the US was formalized into what was known as the Copyright Alert System, a program through which most Internet users could receive at least six piracy warning notices without having any serious action taken against them. In January 2017, without having made much visible progress, it was shut down. In some corners of the web there are still users under the impression that since the “six strikes” scheme has been shut down, all of a sudden US Internet users can forget about receiving a warning notice. In reality, the complete opposite is true. While it’s impossible to put figures on how many notices get sent out (ISPs are reluctant to share the data), monitoring of various piracy-focused sites and forums indicates that plenty of notices are still being sent to ISPs, who are cheerfully sending them on to subscribers. Also, over the past couple of months, there appears to have been an uptick in subscribers seeking advice after receiving warnings. Many report basic notices but there seems to be a bit of a trend of Internet connections being suspended or otherwise interrupted, apparently as a result of an infringement notice being received. “So, over the weekend my internet got interrupted by my ISP (internet service provider) stating that someone on my network has violated some copyright laws. I had to complete a survey and they brought back the internet to me,” one subscriber wrote a few weeks ago. He added that his (unnamed) ISP advised him that seven warnings would get his account disconnected. Another user, who named his ISP as Comcast, reported receiving a notice after downloading a game using BitTorrent. He was warned that the alleged infringement “may result in the suspension or termination of your Service account” but what remains unclear is how many warnings people can receive before this happens. For example, a separate report from another Comcast user stated that one night of careless torrenting led to his mother receiving 40 copyright infringement notices the next day. He didn’t state which company the notices came from but 40 is clearly a lot in such a short space of time. That being said and as far as the report went, it didn’t lead to a suspension. Of course, it’s possible that Comcast doesn’t take action if a single company sends many notices relating to the same content in a small time frame (Rightscorp is known to do this) but the risk is still there. Verizon, it seems, can suspend accounts quite easily. “So lately I’ve been getting more and more annoyed with pirating because I get blasted with a webpage telling me my internet is disconnected and that I need to delete the file to reconnect, with the latest one having me actually call Verizon to reconnect,” a subscriber to the service reported earlier this month. A few days ago, a Time Warner Cable customer reported having to take action after receiving his third warning notice from the ISP. “So I’ve gotten three notices and after the third one I just went online to my computer and TWC had this page up that told me to stop downloading illegally and I had to click an ‘acknowledge’ button at the bottom of the page to be able to continue to use my internet,” he said. Also posting this week, another subscriber of an unnamed ISP revealed he’d been disconnected twice in the past year. His comments raise a few questions that keep on coming up in these conversations. “The first time [I was disconnected] was about a year ago and the next was a few weeks ago. When it happened I was downloading some fairly new movies so I was wondering if they monitor these new movie releases since they are more popular. Also are they monitoring what I am doing since I have been caught?” he asked. While there is plenty of evidence to suggest that old content is also monitored, there’s little doubt that the fresher the content, the more likely it is to be monitored by copyright holders. If people are downloading a brand new movie, they should expect it to be monitored by someone, somewhere. The second point, about whether risk increases after being caught already, is an interesting one, for a number of reasons. Following the BMG v Cox Communication case, there is now a big emphasis on ISPs’ responsibility towards dealing with subscribers who are alleged to be repeat infringers. Anti-piracy outfit Rightscorp was deeply involved in that case and the company has a patent for detecting repeat infringers. It’s becoming clear that the company actively targets such people in order to assist copyright holders (which now includes the RIAA) in strategic litigation against ISPs, such as Grande Communications, who are claimed to be going soft on repeat infringers. Overall, however, there’s no evidence that “getting caught” once increases the chances of being caught again, but subscribers should be aware that the Cox case changed the position on the ground. 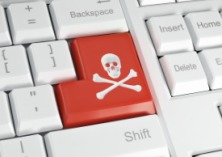 If anecdotal evidence is anything to go by, it now seems that ISPs are tightening the leash on suspected pirates and are more likely to suspend or disconnect them in the face of repeated complaints. The final question asked by the subscriber who was disconnected twice is a common one among people receiving notices. “What can I do to continue what we all love doing?” he asked. Time and time again, on sites like Reddit and other platforms attracting sharers, the response is the same. “Get a paid VPN. I’m amazed you kept torrenting without protection after having your internet shut off, especially when downloading recent movies,” one such response reads. Nevertheless, this still fails to help some people fully understand the notices they receive, leaving them worried about what might happen after receiving one. However, the answer is nearly always straightforward. If the notice says “stop sharing content X”, then recipients should do so, period. And, if the notice doesn’t mention specific legal action, then it’s almost certain that no action is underway. They are called warning notices for a reason. Also, notice recipients should consider the part where their ISP assures them that their details haven’t been shared with third parties. That is the truth and will remain that way unless subscribers keep ignoring notices. Then there’s a slim chance that a rightsholder will step in to make a noise via a lawyer. At that point, people shouldn’t say they haven’t been warned. In the early 2000s, when peer-to-peer (P2P) file-sharing was in its infancy, the majority of users had no idea that their activities could be monitored by outsiders. The reality was very different, however. As few as they were, all of the major networks were completely open, with most operating a ‘shared folder’ type system that allowed any network participant to see exactly what another user was sharing. Nevertheless, with little to no oversight, file-sharing at least felt like a somewhat private affair. As user volumes began to swell, software such as KaZaA (which utilized the FastTrack network) and eDonkey2000 (eD2k network) attracted attention from record labels, who were desperate to stop the unlicensed sharing of copyrighted content. The same held true for the BitTorrent networks that arrived on the scene a couple of years later. Through the rise of lawsuits against consumers, the general public began to learn that their activities on P2P networks were not secret and they were being watched for some, if not all, of the time by copyright holders. 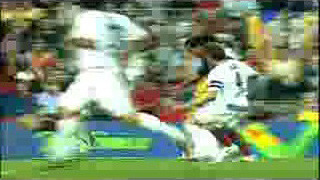 Little did they know, however, that a much bigger player was also keeping a watchful eye. According to a fascinating document just released by The Intercept as part of the Edward Snowden leaks, the National Security Agency (NSA) showed a keen interest in trying to penetrate early P2P networks. Initially published by internal NSA news site SIDToday in June 2005, the document lays out the aims of a program called FAVA – File-Sharing Analysis and Vulnerability Assessment. “One question that naturally arises after identifying file-sharing traffic is whether or not there is anything of intelligence value in this traffic,” the NSA document begins. Indeed, the vast majority of users of these early networks were only been interested in sharing relatively small music files, which were somewhat easy to manage given the bandwidth limitations of the day. However, the NSA still wanted to know what was happening on a broader scale, so that meant decoding their somewhat limited encryption. “As many of the applications, such as KaZaA for example, encrypt their traffic, we first had to decrypt the traffic before we could begin to parse the messages. We have developed the capability to decrypt and decode both KaZaA and eDonkey traffic to determine which files are being shared, and what queries are being performed,” the NSA document reveals. Most progress appears to have been made against KaZaA, with the NSA revealing the use of tools to parse out registry entries on users’ hard drives. This information gave up users’ email addresses, country codes, user names, the location of their stored files, plus a list of recent searches. This gave the NSA the ability to look deeper into user behavior, which revealed some P2P users going beyond searches for basic run-of-the-mill multimedia content. “[We] have discovered that our targets are using P2P systems to search for and share files which are at the very least somewhat surprising — not simply harmless music and movie files. With more widespread adoption, these tools will allow us to regularly assimilate data which previously had been passed over; giving us a more complete picture of our targets and their activities,” the document adds. Today, more than 12 years later, with KaZaA long dead and eDonkey barely alive, scanning early pirate activities might seem a distant act. However, there’s little doubt that similar programs remain active today. 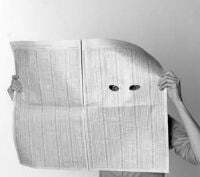 Even in 2005, the FAVA program had lofty ambitions, targeting other networks and protocols including DirectConnect, Freenet, Gnutella, Gnutella2, JoltID, MSN Messenger, Windows Messenger and……BitTorrent. Confirming the continued interest in BitTorrent, The Intercept has published a couple of further documents which deal with the protocol directly. The first details an NSA program called GRIMPLATE, which aimed to study how Department of Defense employees were using BitTorrent and whether that constituted a risk. Anti-piracy outfit Rightscorp is one of the many companies trying to turn Internet piracy into profit. The company has a somewhat novel approach but has difficulty balancing the books. Essentially, Rightscorp operates like other so-called copyright-trolling operations, in that it monitors alleged offenders on BitTorrent networks, tracks them to their ISPs, then attempts to extract a cash settlement. Rightscorp does this by sending DMCA notices with settlement agreements attached, in the hope that at-this-point-anonymous Internet users break cover in panic. This can lead to a $20 or $30 ‘fine’ or in some cases dozens of multiples of that. But despite settling hundreds of thousands of these cases, profit has thus far proven elusive, with the company hemorrhaging millions in losses. The company has just filed its results for the first half of 2017 and they contain more bad news. In the six months ended June 2017, revenues obtained from copyright settlements reached just $138,514, that’s 35% down on the $214,326 generated in the same period last year. However, the company did manage to book $148,332 in “consulting revenue” in the first half of this year, a business area that generated no revenue in 2016. 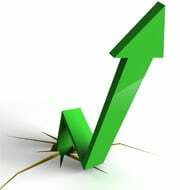 Overall then, total revenue for the six month period was $286,846 – up from $214,326 last year. While that’s a better picture in its own right, Rightscorp has a lot of costs attached to its business. After paying out $69,257 to copyright holders and absorbing $1,190,696 in general and administrative costs, among other things, the company’s total operating expenses topped out at $1,296,127 for the first six months of the year. To make a long story short, the company made a net loss of $1,068,422, which was more than the $995,265 loss it made last year and despite improved revenues. The company ended June with just $1,725 in cash. 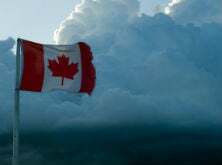 “These factors raise substantial doubt about the Company’s ability to continue as a going concern within one year after the date that the financial statements are issued,” the company’s latest statement reads. This hanging-by-a-thread narrative has followed Rightscorp for the past few years but there’s information in the latest accounts which indicates how bad things were at the start of the year. In January 2016, Rightscorp and several copyright holders, including Hollywood studio Warner Bros, agreed to settle a class-action lawsuit over intimidating robo-calls that were made to alleged infringers. The defendants agreed to set aside $450,000 to cover the costs, and it appears that Rightscorp was liable for at least $200,000 of that. Rightscorp hasn’t exactly been flush with cash, so it was interesting to read that its main consumer piracy settlement client, music publisher BMG, actually stepped in to pay off the class-action settlement. “At December 31, 2016, the Company had accrued $200,000 related to the settlement of a class action complaint. On January 7, 2017, BMG Rights Management (US) LLC (“BMG”) advanced the Company $200,000, which was used to pay off the settlement. The advance from BMG is to be applied to future billings from the Company to BMG for consulting services,” Rightscorp’s filing reads. With Rightscorp’s future BMG revenue now being gobbled up by what appears to be loan repayments, it becomes difficult to see how the anti-piracy outfit can make enough money to pay off the $200,000 debt. However, its filing notes that on July 21, 2017, the company issued “an aggregate of 10,000,000 shares of common stock to an investor for a purchase price of $200,000.” While that amount matches the BMG debt, the filing doesn’t reveal who the investor is. The filing also reveals that on July 31, Rightscorp entered into two agreements to provide services “to a holder of multiple copyrights.” The copyright holder isn’t named, but the deal reveals that it’s in Rightscorp’s best interests to get immediate payment from people to whom it sends cash settlement demands. “[Rightscorp] will receive 50% of all gross proceeds of any settlement revenue received by the Client from pre-lawsuit ‘advisory notices,’ and 37.5% of all gross proceeds received by the Client from ‘final warning’ notices sent immediately prior to a lawsuit,” the filing notes. Also of interest is that Rightscorp has offered not to work with any of the copyright holders’ direct competitors, providing certain thresholds are met – $10,000 revenue in the first month to $100,000 after 12 months. But there’s more to the deal. Rightscorp will also provide a number of services to this client including detecting and verifying copyright works on P2P networks, providing information about infringers, plus reporting, litigation support, and copyright protection advisory services. For this, Rightscorp will earn $10,000 for the first three months, rising to $85,000 per month after 16 months, valuable revenue for a company fighting for its life. 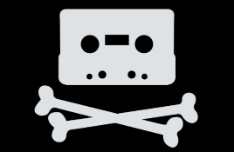 For several decades the basic shape of the piracy market hasn’t changed much. At the top of the chain there has always been a relatively small number of suppliers. At the bottom, the sprawling masses keen to consume whatever content these suppliers make available, while sharing it with everyone else. This model held in the days of tapes and CDs and transferred nicely to the P2P file-sharing era. For nearly two decades people have been waiting for those with the latest content to dump it onto file-sharing networks. After grabbing it for themselves, people share that content with others. For many years, the majority of the latest music, movies, and TV shows appeared online having been obtained by, and then leaked from, ‘The Scene’. However, with the rise of BitTorrent and an increase in computer skills demonstrated by the public, so-called ‘P2P release groups’ began flexing their muscles, in some cases slicing the top of the piracy pyramid. With lower barriers to entry, P2P releasers can be almost anyone who happens to stumble across some new content. That being said, people still need the skill to package up that content and make it visible online, on torrent sites for example, without getting caught. For most people that’s prohibitively complex, so it’s no surprise that Average Joe, perhaps comforted by the air of legitimacy, has taken to uploading music and movies to sites like YouTube instead. These days that’s nothing out of the ordinary and perhaps a little boring by piracy standards, but people still have the capacity to surprise. 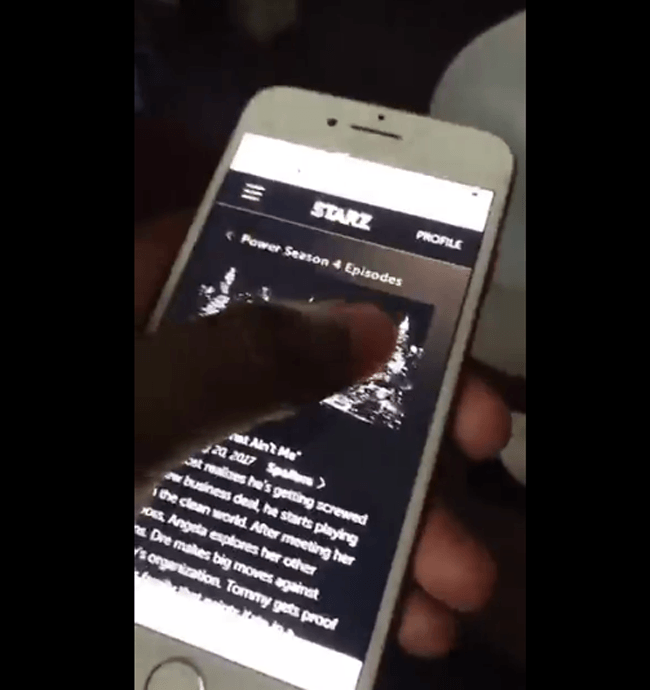 This week a man from the United States, without a care in the world, obtained a login for a STARZ press portal, accessed the final three episodes of ‘Power’, and then streamed them on Facebook using nothing but a phone and an Internet connection. From the beginning, the whole thing was ridiculous, comical even. The man in question, whose name and personal details TF obtained in a matter of minutes, revealed how he got the logins and even recorded his own face during one of the uploaded videos. He really, really couldn’t have cared any less but he definitely should have. After news broke of the leaks, STARZ went public confirming the breach and promising to do something about it. At this point, we should consider the magnitude of what this guy did. While we all laugh at his useless camera skills, the fact remains that he unlawfully distributed copyright works online, in advance of their commercial release. In the United States, that is a criminal offense, one that can result in a prison sentence of several years. It would be really sad if the guy in question was made an example of since his videos suggest he hadn’t considered the consequences. After all, this wasn’t some hi-tech piracy group, just a regular guy with a login and a phone, and intent always counts for something. Nevertheless, the situation this week nicely highlights how new technology affects piracy. In the past, the process of putting an unreleased movie or TV show online could only be tackled by people with expertise in several areas. These days a similar effect is possible with almost no skill and no effort. Joe Public, pre-release TV/movie/sports pirate, using nothing but a phone, a Facebook account, and an urge? That’s the reality today and we won’t have to wait too long for a large scale demonstration of what can happen when millions of people with access to these ubiquitous tools have an urge to share. In a little over two weeks’ time, boxing legend Floyd Mayweather Jr fights UFC lightweight champion, Conor McGregor. It’s set to be the richest combat sports event in history, not to mention one of the most expensive for PPV buyers. That means it’s going to be pirated to hell and back, in every way possible. It’s going to be massive. 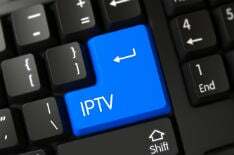 Of course, there will be high-quality paid IPTV productions available, more grainy ‘Kodi’ streams, hundreds of web portals, and even some streaming torrents, for those that way inclined. But there will also be Average Joes in their hundreds, who will point their phones at Showtime’s PPV with the intent of live streaming the biggest show on earth to their friends, family, and the Internet. For free. Quite how this will be combatted remains to be seen but it’s fair to say that this is a problem that’s only going to get bigger. In ten years time – in five years time – many millions of people will have the ability to become pirate releasers on a whim, despite knowing nothing about the occupation. Like ‘Power’ guy, the majority won’t be very good at it. Equally, some will turn it into an art form. But whatever happens, tackling millions of potential pirates definitely won’t be easy for copyright holders. Twenty years in, it seems the battle for control has only just begun. Any company in the security game can be expected to play up threats among its customer base in order to get sales. Sellers of CCTV equipment, for example, would have us believe that criminals don’t want to be photographed and will often go elsewhere in the face of that. Car alarm companies warn us that since X thousand cars are stolen every minute, an expensive Immobilizer is an anti-theft must. Of course, they’re absolutely right to point these things out. People want to know about these offline risks since they affect our quality of life. The same can be said of those that occur in the online world too. We ARE all at risk of horrible malware that will trash our computers and steal our banking information so we should all be running adequate protection. That being said, how many times do our anti-virus programs actually trap a piece of nasty-ware in a year? Once? Twice? Ten times? Almost never? The truth is we all need to be informed but it should be done in a measured way. That’s why an article just published by security firm ESET on the subject of torrents strikes a couple of bad chords, particularly with people who like torrents. It’s titled “Why you should view torrents as a threat” and predictably proceeds to outline why. 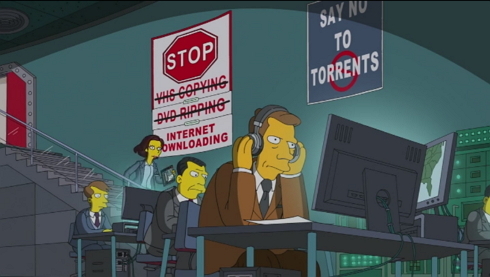 “Despite their popularity among users, torrents are very risky ‘business’,” it begins. Aside from the use of the phrase “very risky” (‘some risk’ is a better description), there’s probably very little to complain about in this opening shot. However, things soon go downhill. “Merely downloading the newest version of BitTorrent clients – software necessary for any user who wants to download or seed files from this ‘ecosystem’ – could infect your machine and irreversibly damage your files,” ESET writes. Following that scary statement, some readers will have already vowed never to use a torrent again and moved on without reading any more, but the details are really important. To support its claim, ESET points to two incidents in 2016 (which to its great credit the company actually discovered) which involved the Transmission torrent client. Both involved deliberate third-party infection and in the latter hackers attacked Transmission’s servers and embedded malware in its OSX client before distribution to the public. No doubt these were both miserable incidents (to which the Transmission team quickly responded) but to characterize this as a torrent client problem seems somewhat unfair. That’s a huge disservice to the hundreds of millions of torrent client installations that have taken place over a decade and a half and were absolutely trouble free. On a similar basis, we could argue that installing Windows is the main initial problem for people getting viruses from the Internet. It’s true but it’s also not the full picture. Finally, the piece goes on to detail other incidents over the years where torrents have been found to contain malware. The several cases highlighted by ESET are both real and pretty unpleasant for victims but the important thing to note here is torrent users are no different to any other online user, no matter how they use the Internet. People who download files from the Internet, from ALL untrusted sources, are putting themselves at risk of getting a virus or other malware. Whether that content is obtained from a website or a P2P network, the risks are ever-present and only a foolish person would do so without decent security software (such as ESET’s) protecting them. The take home point here is to be aware of security risks and put them into perspective. It’s hard to put a percentage on these things but of the hundreds of millions of torrent and torrent client downloads that have taken place since their inception 15 years ago, the overwhelming majority have been absolutely fine. Security situations do arise and we need to be aware of them, but presenting things in a way that spreads unnecessary concern in a particular sector isn’t necessary to sell products. The AV-TEST Institute registers around 390,000 new malicious programs every day that don’t involve torrents, plenty for any anti-virus firm to deal with. Recently, WikiLeaks has released emails from Democrats. 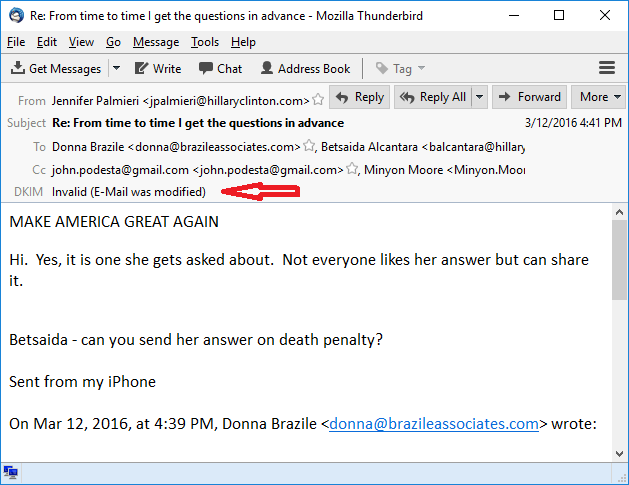 Many have repeatedly claimed that some of these emails are fake or have been modified, that there’s no way to validate each and every one of them as being true. Actually, there is, using a mechanism called DKIM. DKIM is a system designed to stop spam. It works by verifying the sender of the email. Moreover, as a side effect, it verifies that the email has not been altered. 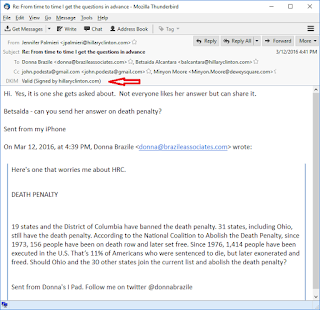 Hillary’s team uses “hillaryclinton.com”, which as DKIM enabled. Thus, we can verify whether some of these emails are true. 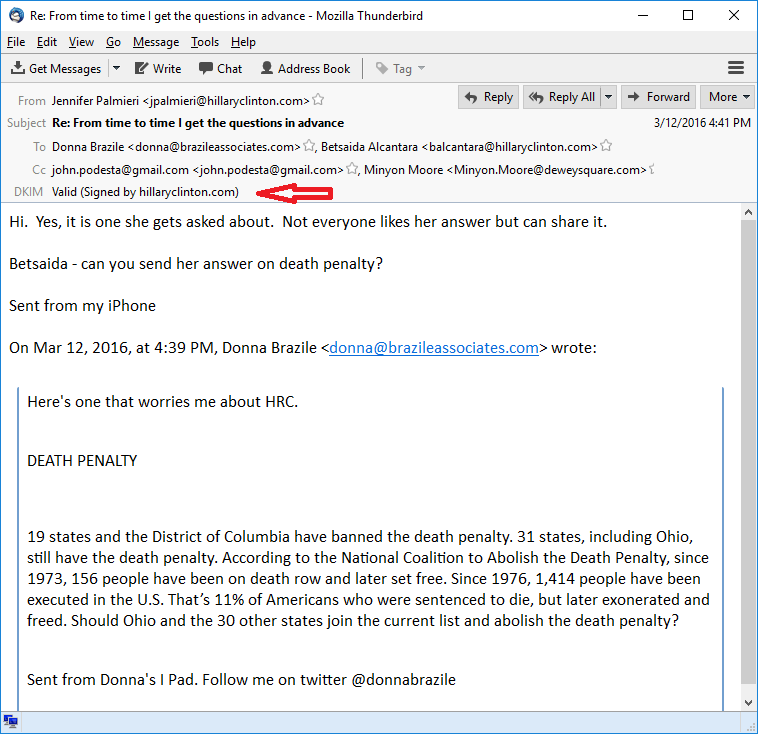 Recently, in response to a leaked email suggesting Donna Brazile gave Hillary’s team early access to debate questions, she defended herself by suggesting the email had been “doctored” or “falsified”. That’s not true. We can use DKIM to verify it. It’s not a smoking gun, but at the same time, it both claims they got questions in advance while having a question in advance. Trump gets hung on similar chains of evidence, so it’s not something we can easily ignore. How do you verify this is true. There are a zillion ways with various “DKIM verifiers”. I use the popular Thunderbird email reader (from the Mozilla Firefox team). They have an addon designed specifically to verify DKIM. Normally, email readers don’t care, because it’s the email server‘s job to verify DKIM, not the client. So we need a client addon to enable verification. Let’s see what happens when somebody tries to doctor the email. In the following, I added “MAKE AMERICA GREAT AGAIN” to the top of the email. 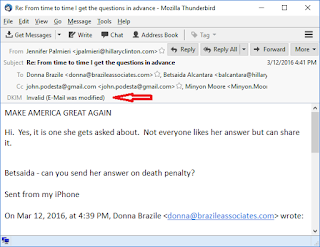 As you can see, we’ve proven that DKIM will indeed detect if anybody has “doctored” or “falsified” this email. I was just listening to ABC News about this story. It repeated Democrat talking points that the WikiLeaks emails weren’t validated. That’s a lie. This email in particular has been validated. I just did it, and shown you how you can validate it, too. Btw, if you can forge an email that validates correctly as I’ve shown, I’ll give you 1-bitcoin. It’s the easiest way of solving arguments whether this really validates the email — if somebody tells you this blogpost is invalid, then tell them they can earn about $600 (current value of BTC) proving it. Otherwise, no. Update: I’m a bit late writing this blog post. Apparently, others have validated these, too. Напоследък буквално не съм видял е-майл, който да не прелива от вируси. И преди е имало кампании, но тази направо смайва с мащабите си. Почти месец вече нямам време да се огледам и всеки ден отлагам писането за тази опасност, с надеждата пороят да секне и да ми спести усилието. Той обаче продължава. Слава Богу, нощта срещу Великден е, така че мога да заделя половин час. Който е шаран в тези неща сигурно се е хванал вече, но все пак по-добре късно, отколкото никога. Е-майлите се изпращат от масивен ботнет – мисля, че е поне 200 000 компютъра. Разпространението му е по целия свят – засякъл съм машини в Северна и Южна Америка, Европа, Русия, Индия, Китай… Изглежда като да е под контрола на руска кибербанда. Не съм успял да пипна лично заразена машина, нито съм имал времето да заразя и тествам някоя, но май системата му е модулна P2P. Линуксите май не са в опасност, за Маковете не съм имал възможност да проверя. Съдържанието на ZIP-а e .js файл. Най-често името му е от десетина цифри, долно тире и още десетина цифри. Размерът варира, обикновено около 10-20 КБ некомпресиран. Голямата част от съдържанието му е някакъв текст, сложен да заблуди скенерите на антивирусите. Пак със същата цел променливите в малкото (около 1 К) реален код са с дълги (често над 50 знака), генерирани на случаен принцип имена, а присвояваните на тях стойности са обфускирани по наглед некадърно прост, но често успяващ да заблуди антивируса начин. Написан е от руски киберкримки. – ако получите е-майл с прикрепено нещо, го стартирайте само ако познавате изпращача и той ви се е обадил да ви предупреди, че ви изпраща нещото. Ако то изглежда дори най-малко подозрително, му звъннете да попитате пращал ли го е. – настройте си Windows и разархивиращите програми да ви показват разширенията на файловете. (И „благодарете“ на Майкрософт, че в последните версии на Windows те по подразбиране са скрити.) Ако нещото съдържа какъвто и да е изпълним код (например е документ на Microsoft Office), то е вирус до лично гласово или визуално потвърждение от познат ви изпращач за противното. Успех и най-вече бистра глава! Данните ви не са Христос – умрат ли, няма да възкръснат дори на Великден. 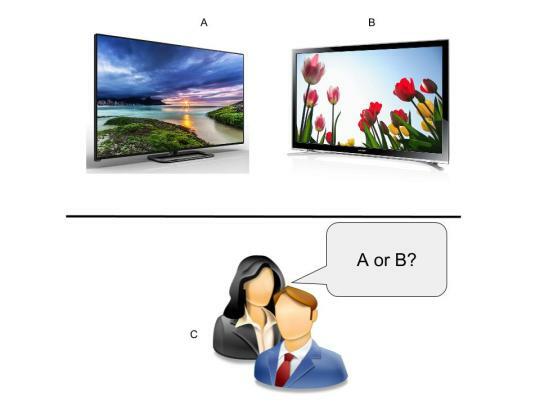 “Turing Test” for OTT Video Streaming: Can a viewer distinguish between Streaming and Broadcast Video in 2016?